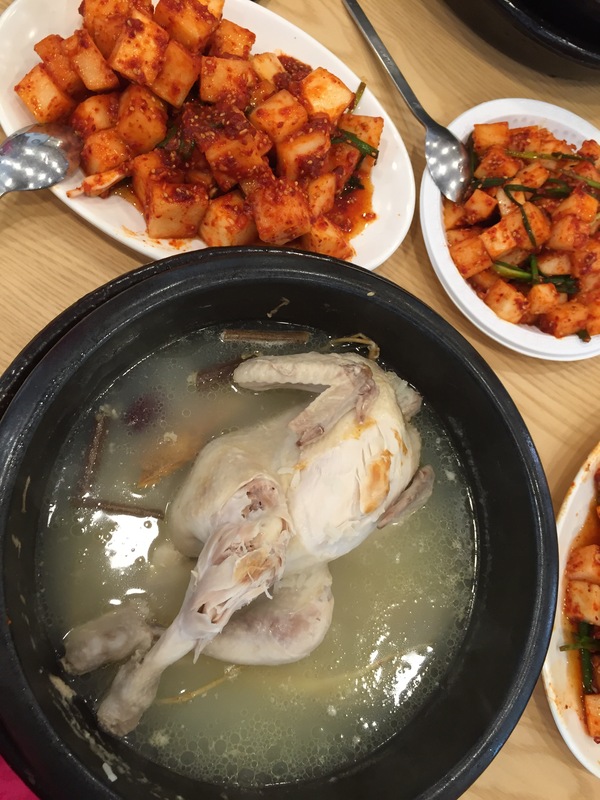 A very popular dish in Korea is Samgyetang. 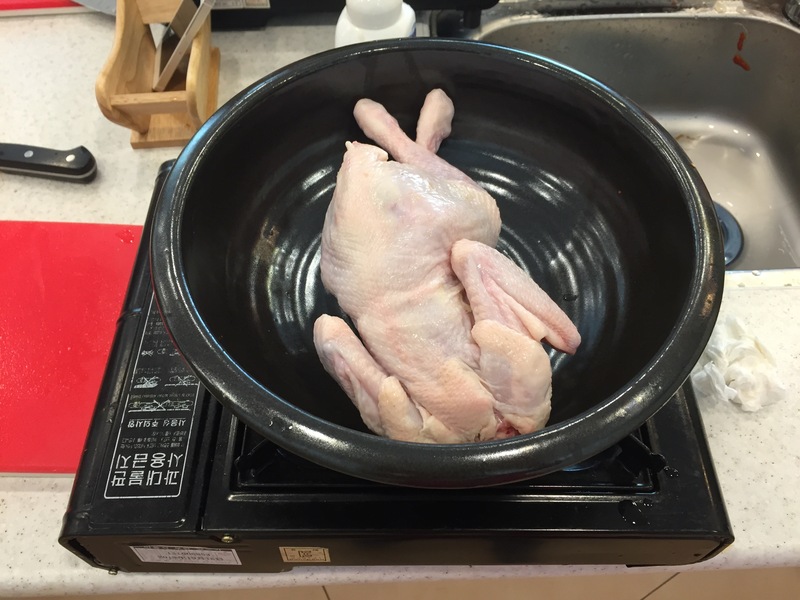 Samgyetang is the Korean equivalent of the American Chicken Noodle Soup. 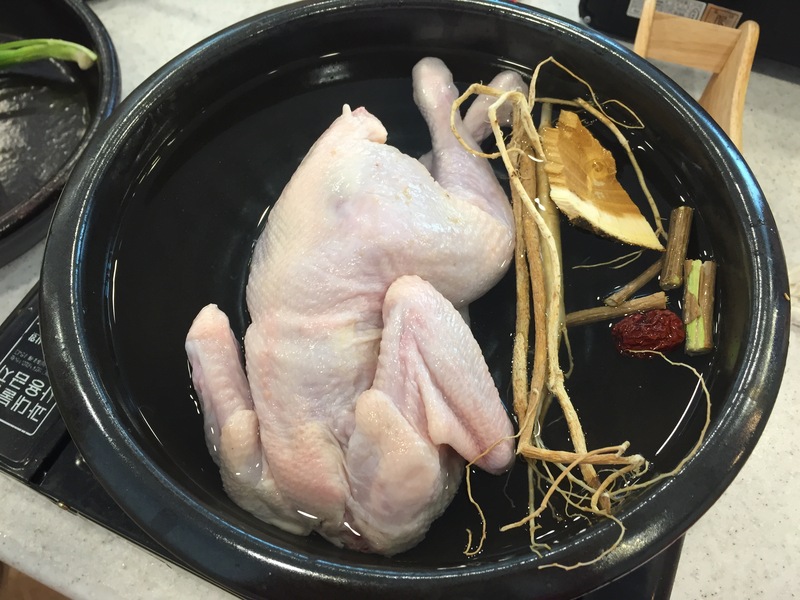 It is a whole chicken (don’t w orry it’s not a full size US chicken) stuffed with rice and cooked in a ginseng herb broth. It is delightfully light, but satisfying. 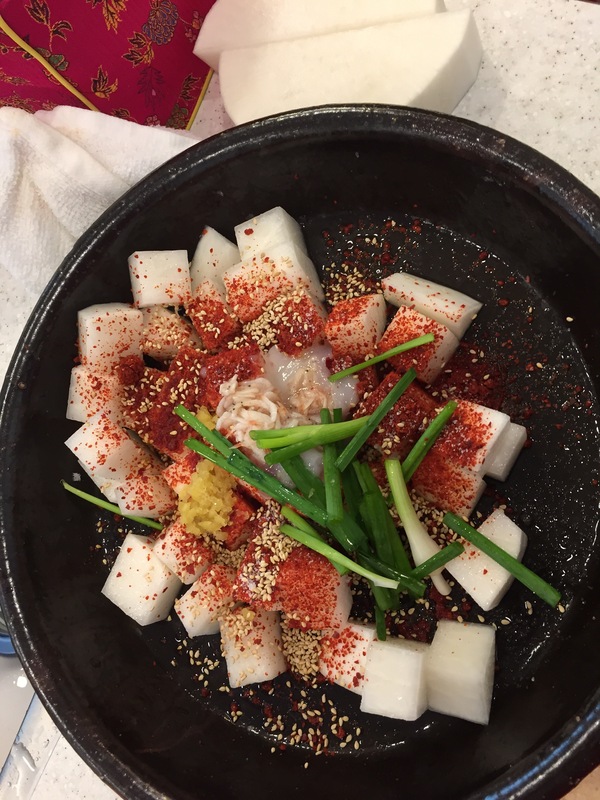 There are many restaurants in South Korea who serve this dish only, it is their specialty. 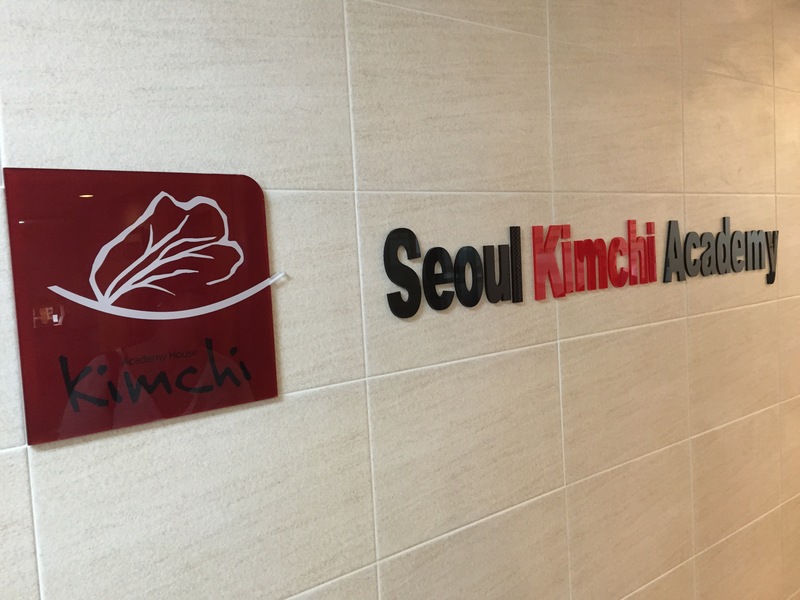 I went to Seoul Kimchi Academy where they taught us how to make this simple, but delicious dish! 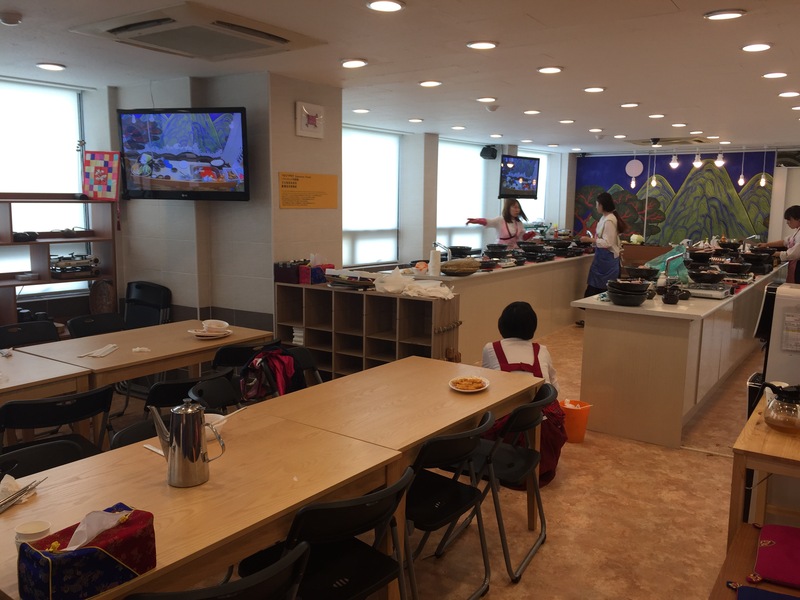 Seoul Kimchi Academy’s classroom has a good set up for individual workstations as well as long tables for the eventual eating you will be doing! So we started out with a hot plate and a earthenware bowl. Inside the bowl we placed our small chicken (already stuffed with rice). In the US, you most likely won’t be able to find a chicken this small, and I’m guessing a cornish hen could work. Then we added in our ginseng, dried red date, a couple other herbs (that honestly looked like tree bark, but ginseng and the red dates are the must haves for this soup), and added water (about 2/3 of the way full). We turned on the heat to medium, covered the pot and let it boil for 30 minutes. When the time was up, we had a hearty and delicious chicken soup! 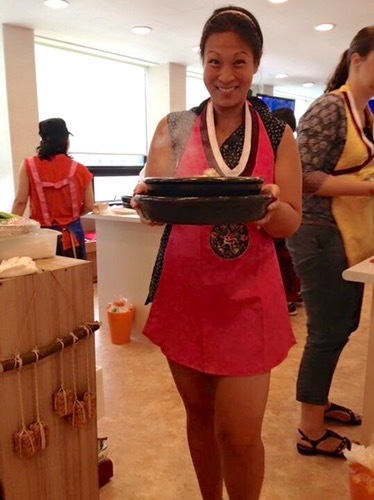 The interesting thing about Samgyetang is that normally we Americans eat soups more so in the winter, but in Korea, hot soups are more frequently eaten in the summer. Somehow it is supposed to help with the heat. Luckily I love soups year round. 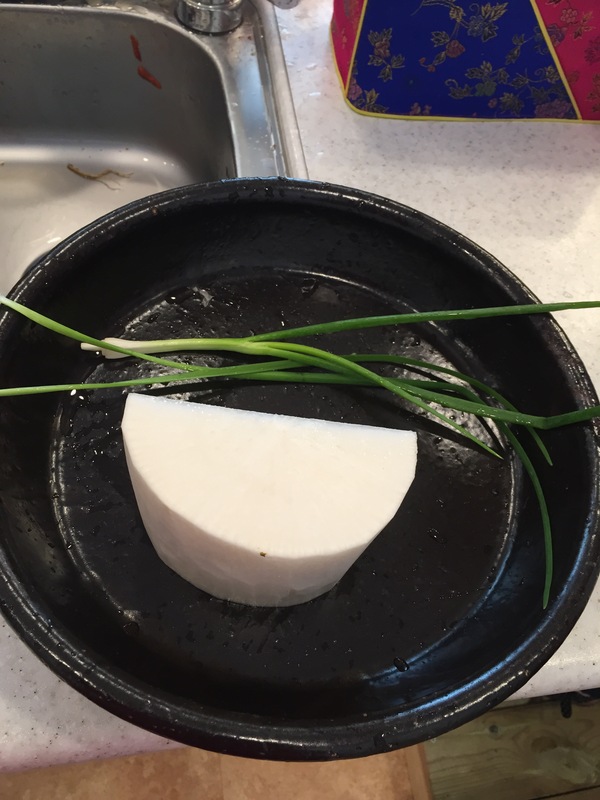 While you are waiting for your soup to cook, get started on a side dish (banchan) that frequently accompanies Samgyetang. 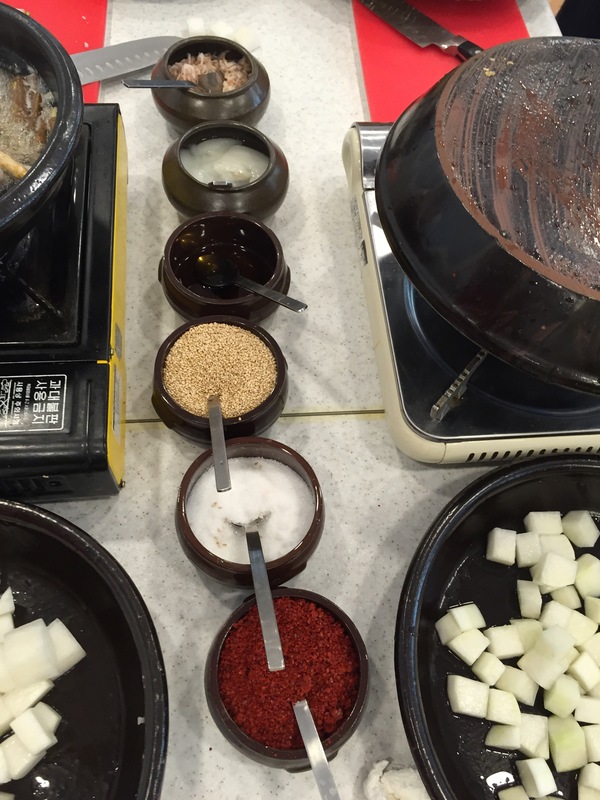 This banchan is called Ggakduki (which is radish kimchi). 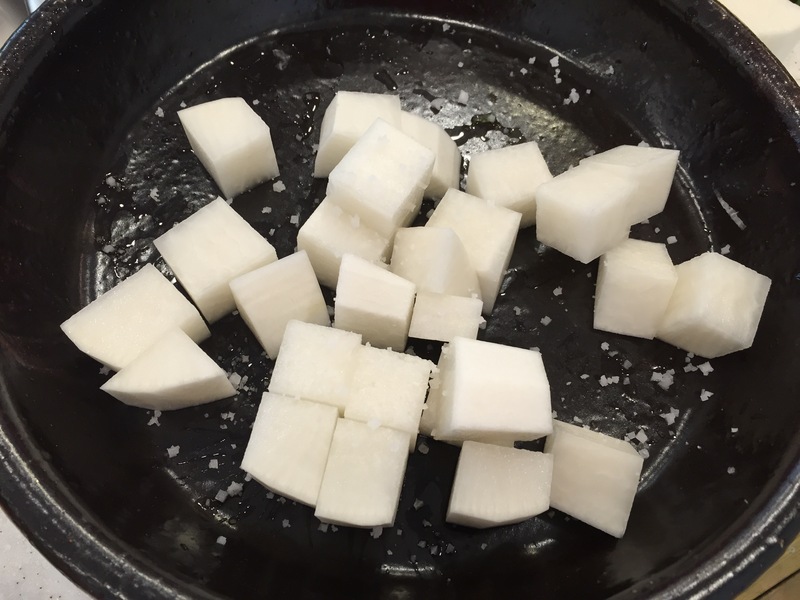 You start with daikon and cut it into 1/2 inch cubes. Also cut your scallions into 1 inch sections. Then give it a good sprinkling of coarse salt. Then add 1 tsp of sugar, sesame seeds, shrimp paste, minced garlic and fish sauce. Then add 3 tsp of pepper powder. And give it all a good mix until it comes together. Since we didn’t add any salt or pepper to the soup (because you want the natural flavor of the herbs and chicken to shine through), I would recommend preparing a small dipping dish with salt and pepper. 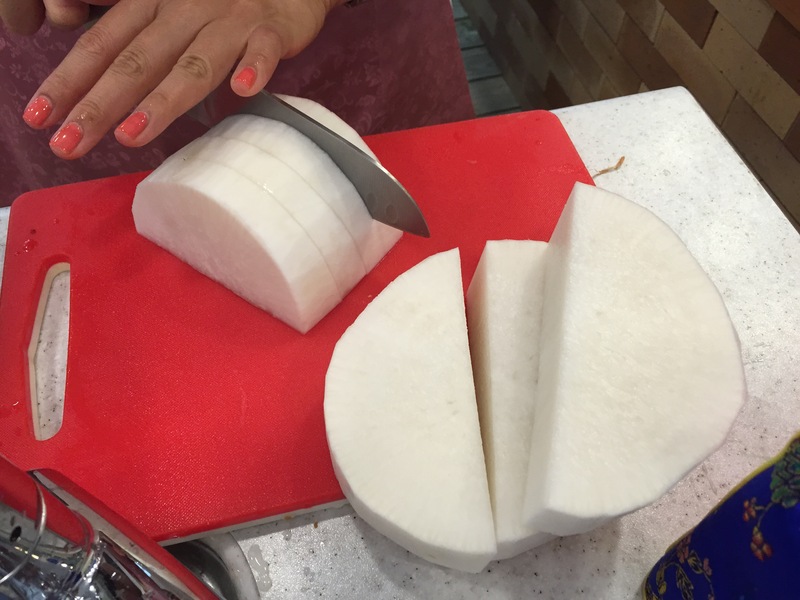 You can dip you chicken in that and it is a perfect final touch. You are totally ready to eat now! 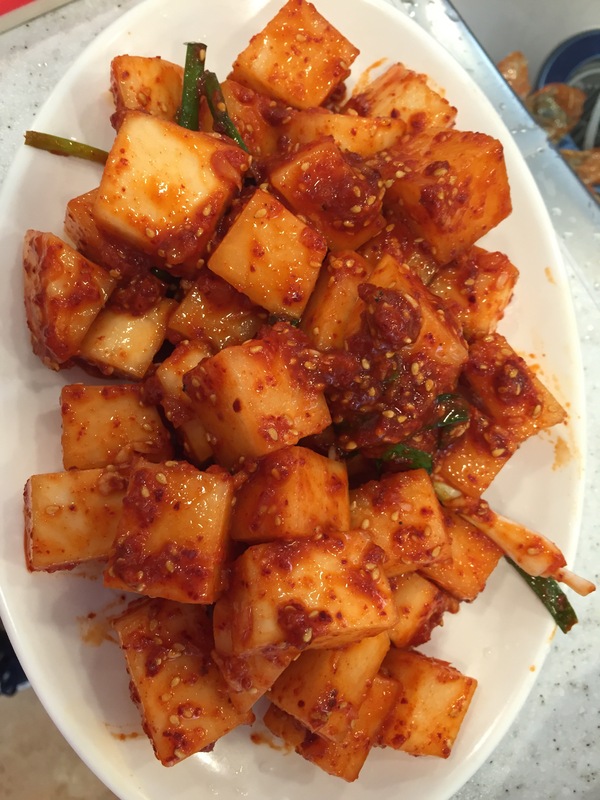 Hope you enjoy one of my Korean favorites!